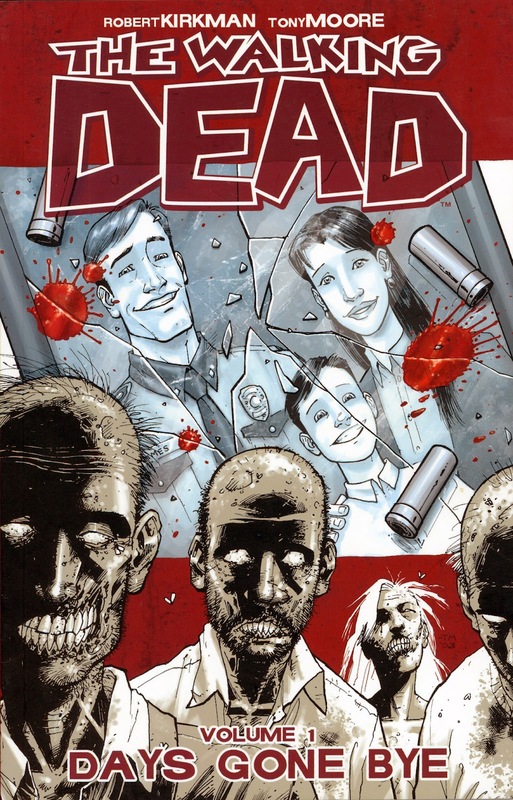 The Walking Dead by Robert Kirkman (Issues #1-90) | Stevie is a writer. For the first time in a while I have actually just raced through a series as if it were candy, and the books that actually caused this oh so rare phenomenon? The Walking Dead. I’m sure many of you have heard of the the AMC television series of the same name, well these are the comics it was based after. And, sorry to repeat myself, but oh my god are they fantastic! The plot is really nothing to be overly excited about, it’s basically the story of a man trying to survive the zombie apocalypse. It chronicles the aventures of Rick Grimes as he tries to find safety for his family and a few people they meet along the way. What really sets this tale apart in my mind is how it is never really about finding a cure or saving the world. It’s just simply about survival. And speaking of survival, one of my favorite things about these comics is how no one is safe. Ever. Doesn’t matter who you are. It really gives the books a sense of realism in the end, as even the reader is put on edge during every turn of the page because who knows the death of your favorite character could be waiting for you on the other side. And while there are quite a few moments of just dumb luck, the author really knows how to balance it in such a way that you really never know who is going to make it out safely. It is really the characters that cause this book to truly stand out. Even with so many new characters being introduced and so many dying right away, Kirkman is able to give each and every one a completely unique voice. And reading through the first 90 issues, I’m sure he doesn’t even know the meaning of a Mary Sue or John Doe type character. All and all, I’d definitely recommend this series for anyone who doesn’t have a weak stomach, because the art is truly horrific at times. Seriously, unless you can handle gore, this is not the comic for you. The artists behind this really knew what they were doing and thus did a fantastic job on it. I’m really looking forward to seeing where else this series goes. This entry was posted on May 15, 2012 by Stephanie. It was filed under Comic Book Review and was tagged with comic books, literature, walking dead, zombie apocalypse, zombies.